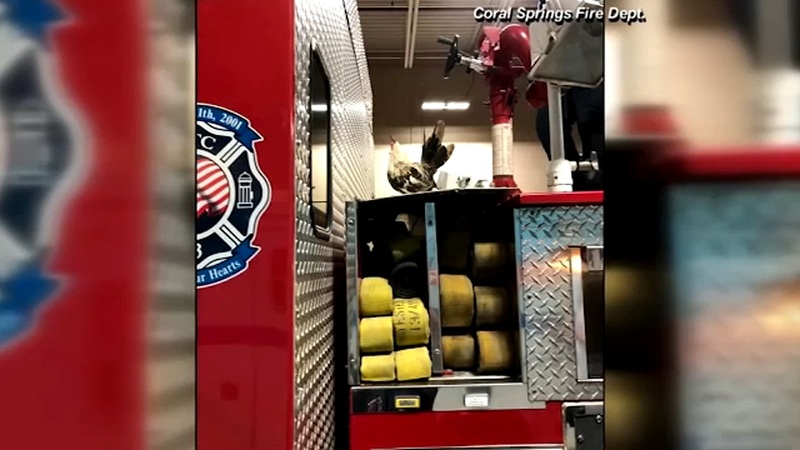 CORAL SPRINGS, Florida (WABC) -- One chicken did a lot more than cross the road with a fire department in Florida. The crew from Engine 95 in Coral Springs noticed the feathered hitchhiker on one of their trucks back at the station. They figured out that bird hopped on four miles away and went for a joy ride. The chicken has reportedly taken up residence behind the station, however if he doesn't fly the coop soon, the police may have to step in to help.